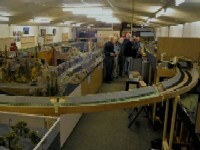 The section has worked long and hard to achieve the holy grail of the O gauge world - continuous running! 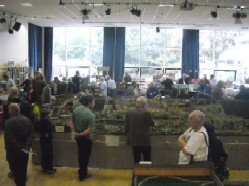 Former end-to-end exhibition layout Kirkby Grandfield was converted to a permanent fixture, and a continuous loop added, affectionately nicknamed the 'roundy' (see picture top right). 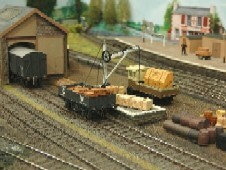 Then more recently, we sold the layout but kept the extension! 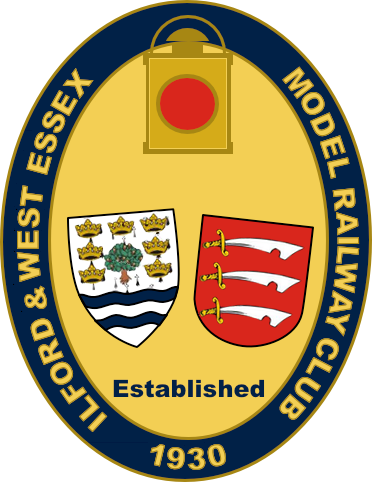 Les Hoffman (left), one of the longest serving members of the Ilford & West Essex MRC (who sadly passed away recently), seen here on the occasion of his 90th birthday with Harry Flatman of the O Gauge section.